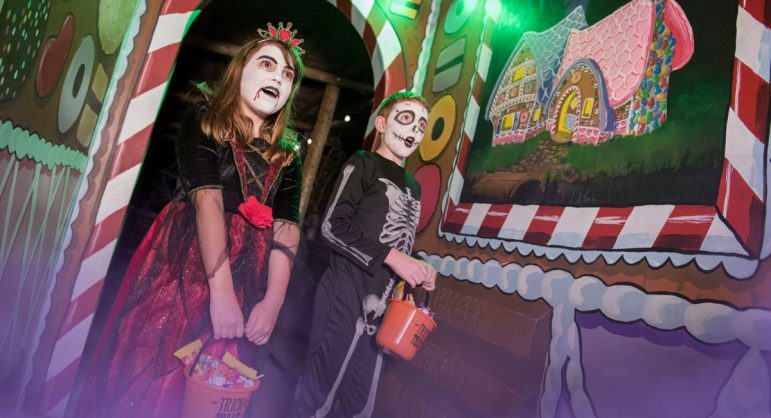 West Midland Safari Park will be hosting its annual Spooky Spectacular event and this year there will be even more exciting things to see and do. 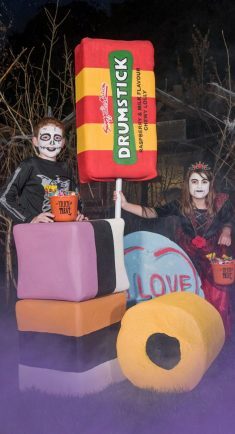 The month-long festival starts on 30 September and includes a brand new Trick or Treat Trail, where children will have to follow the trail of clues amongst the huge, life-sized sweets to find the gingerbread house. 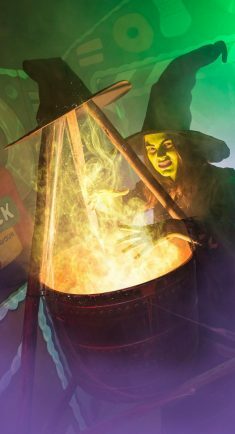 But beware – the wicked witch who resides in the house may either give you a tempting treat or a devious trick! This year will see the return of ‘Dino Quest’ with a whole new adventure. A professor of palaeontology has a vision to bring dinosaurs back to life to fulfil his ambition, and is looking for brave explorers to send back in time through the Land of the Living Dinosaurs. But is everything as it seems? Making their way along the dark, winding paths, explorers will interact with several curious characters to help unravel the mystery. Guests can also enjoy ‘Terrifying Tales of Talent,’ an immersive puppet show where families can meet an array of memorable creepy critters and help King Roary choose the winner of a very strange talent show. As well as the new attractions there will be competitions, themed live shows and animal encounters, including ‘Creepy Critter Encounters’ and ‘Dr Franken-Sea-Lion Strikes Again’. If this isn’t enough, children can take a walk down the eerie path to the Safari Academy and try their hand at making their very own decorations in a Spooky Craft Club. Creepy characters will also be wandering around the Park telling guests tales of their spine-tingling adventures! Opening hours will be extended until 9:00pm on weekends and the October half-term holiday. Guests are also encouraged to dress up to take part in the Halloween fun. 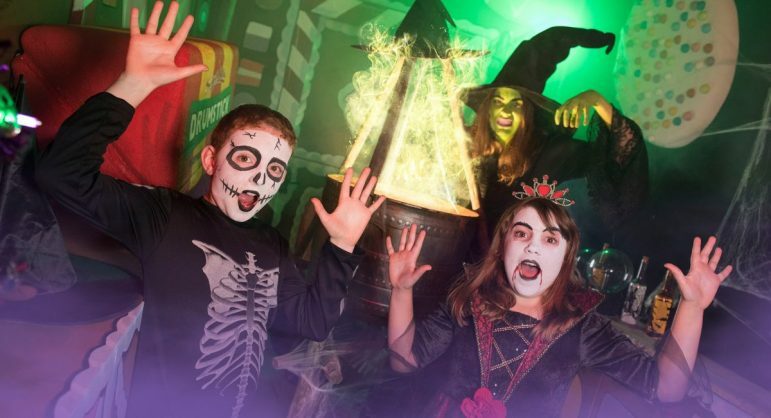 Spooky Spectacular is included in the standard admission charge of £23.00 for adults, £18.00 for children aged 3-15 years and £21.00 for concessions. Children under the age of 3 years are admitted free of charge. Admission includes a voucher for a return visit or safari gift. Admission prices reduce for arrival after 3pm and 4pm during weekends and half-term. Adventure Theme Park rides are charged extra. Further information and tickets are available from the Park’s official website or by telephone 01299 402114. You can find out more on the Safari Park’s official Facebook page.